I never noticed it before, but found out that there is no way to "Pour" water into the water tank on the 26A Minnie. This can be a real problem that requires you to break camp and drive sometimes for MANY miles to find a place to add water to the tank. I have found a way to get water into the tank without breaking camp.... it is a lot of trouble, but it does work. I bought a little 12 volt pump at Harbor freight that has a facet type in/out on it. Hook the "OUT" to the Fill port on your motor home, and the "IN" to the portable water container. I was not able to get the pump to self prime, so I got a "Female" hose connector and attached it to the lid on the portable container. Fill the container and lay it on it's side with the "IN" hose connected. This will prime the pump and the pump will transfer all of the water. It's a PIA, but it does at least provide some way to get water into the tank. Another problem with this is the need to make a very long hookup wire to reach the chassis battery. It might have been easier to have purchased the 110 VAC version of the pump and just used the Generator to supply power. Best answer...….. DON'T RUN OUT OF WATER! Yeah, that was my frustration with our preowned 2014 Itasca. I've filled, carried, and dumped in thousands of gallons of water, 5 at a time, over the last 40 or 50 years, starting with my parents' Travco back in the 60s. I made a setup similar to yours out of my spare Shur-Flo pump, and installed a 12VDC outlet in the utility bay to power it. It self primes and works pretty well. After the first trip using it, I got a second jug, so I can fill one while the other is being pumped out. Here's my tip. Instead of using regular hose, I used clear 1/2" hose from the hardware store. That way, I can see bubbles in the suction line as the jug gets empty. Or... take less showers...😁😁 Good idea, I might do. We carry a 5 gallon solar shower also. Plus minimum of 10 gallons in two containers in toad. We don't drink from the tanks. Carry 3 gallon containers plus some one gallons under fwd settee cushions for drinking. You can remove 1/2 of the box under the seat that the footrest uses. I think you said you removed footrests. Did you remove the entire box on the floor also? Lots more room. Yes, I removed the footrest and simply put a door at the end of the Dinette to provide easy access. I added a wall about half way back so that items would not move past easy reach. Other less need items are put on the back side of the Wall by removing the cushion. The Sure flow is a better idea. I use that method on my last unit. Adding a close 12 volt supply would be a bonus. There's also an adapter for threadless faucets called a water thief or water bandit, that lets you connect a hose. yes, I have one of them.... but unfortunately it does no good where there is no facet. Ha! I also use a spare Shurflo pump for this need. I wired in a 12 volt (20 amp) outlet on both sides of the MH. Most 12 volt outlets are not rated for 20 amps, be aware. These are fused with there own 20 amp fuses on 12 ga wire. RV pumps should self prime even when the water jug is lower than the pump. 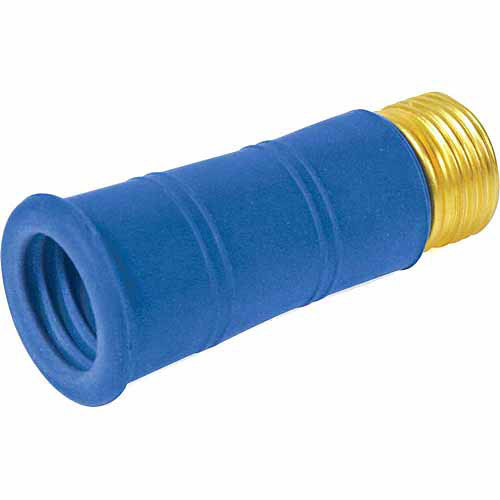 I just added standard 1/2" NPT to 3/4" hose adapters (male & female) on the pump and carry short pieces of hose. Works great. The 12 volt outlets are handy for other needs too, laptop power, air compressor, etc. I have the same issue. I bought the AC pump from harbor freight and use 4 gallon jugs of water from Sam's Club. I like the size of the 4 gallon jugs and are easier to carry/store than the 5 gallon jugs. I don't so a lot of dry camping, so this works for me when I need it. Part of the art of dry camping is accurately knowing your water level and your estimated daily consumption. That will tell you how long you can stay away from areas without water faucets. Accurate water levels are difficult with most standard level detectors. I've since changed to a See Level system and know within a gallon or two the levels in all of my tanks. We have a 2015 Itasca Spirit Silver 27QP, same as the Minnie Winnie 27QP. Also, since I spent 5 years on a submarine, I got to figure out how to conserve shower water without compromising on cleanliness. Cleaning dishes and cooking gear can also use a bit of conservation know-how, again, without compromise. I also tend to drink bottled water or other beverages. We (two of us) have been on 5-7 day boondock adventures and never ran out of the 44 gallon freshwater supply. It is almost impossible to fill the gray and/or black water tanks with only one fill on the freshwater tank. If necessary, you can wash dishes in the bathroom sink if the gray tank is filling too much. Conservation is in my blood and comes easy for me but it is not difficult to learn either. Another thing, I think that your FW tank is below the fitting for filling it. If so, you could make up a device (bucket and hose connection) and pour water directly into your tank without pressure. I haven't tried it on my rig but I'm sure it would work. I bought a pump that attaches to my cordless drill from Amazon and use foldable 10 gallon carriers for the water. This provides an easy and compact way to handle it.